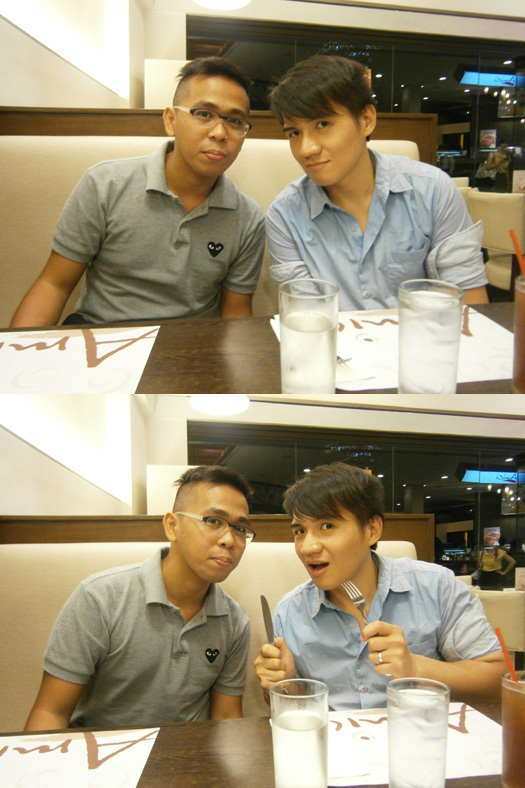 Since we had to conserve our leaves for the upcoming trip and impending holidays (must reserve for the parties and, of course, UP’s Lantern Parade), Mon and I decided to just have dinner somewhere else. 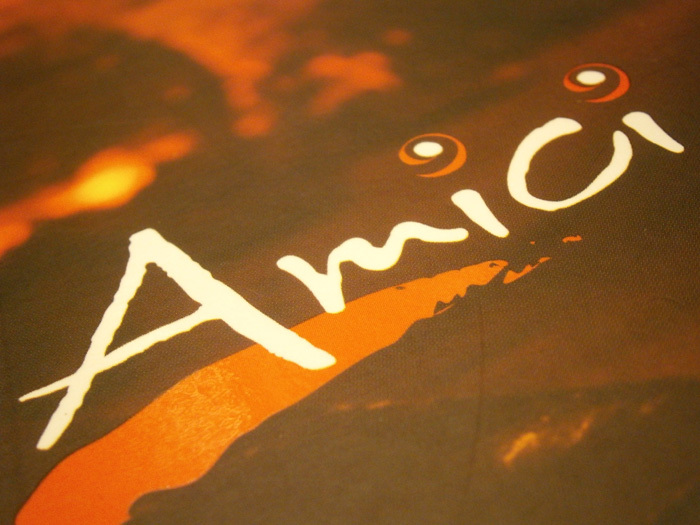 We tagged Faye along to Ayala Triangle and found ourselves in Amici. 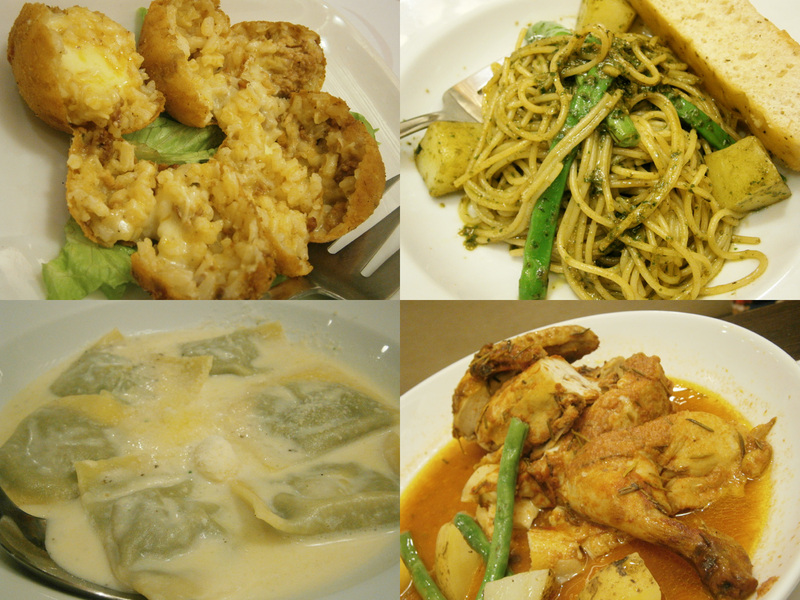 I was initially under the impression that it would be my first time to dine in any Amici branch, but I was reminded that some office-related dinner was done in the branch near Don Bosco. The saving grace: dessert! We just had a single slice of the Mango Felicity cake (what a name), and our initial impression was that it was like a crema de fruta. 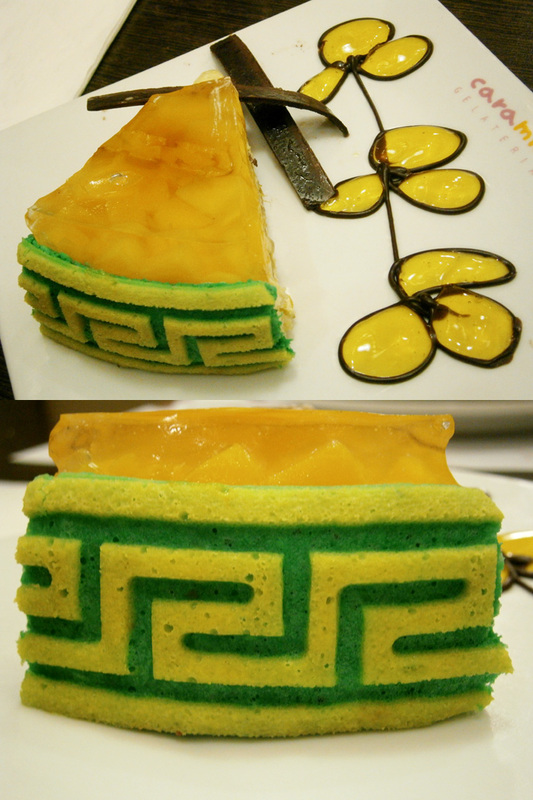 Aside from the nice presentation, it was actually good because it wasn’t that sweet. I was more interested with the side though (I don’t know what it was properly called, the crust? Perhaps? ), because it instantly reminded me of the pattern popularized by Gianni Versace usually found in the circle of the medusa.